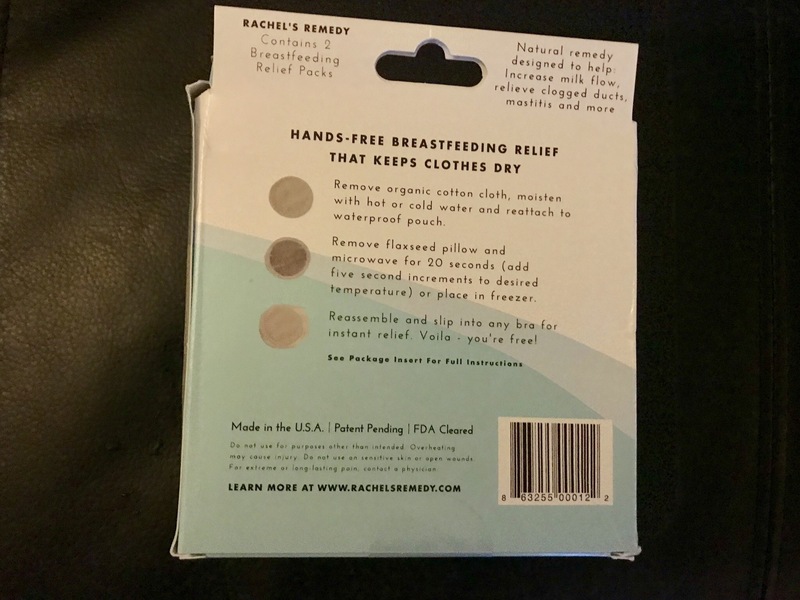 I’ve tried many different things to help with breast milk production. 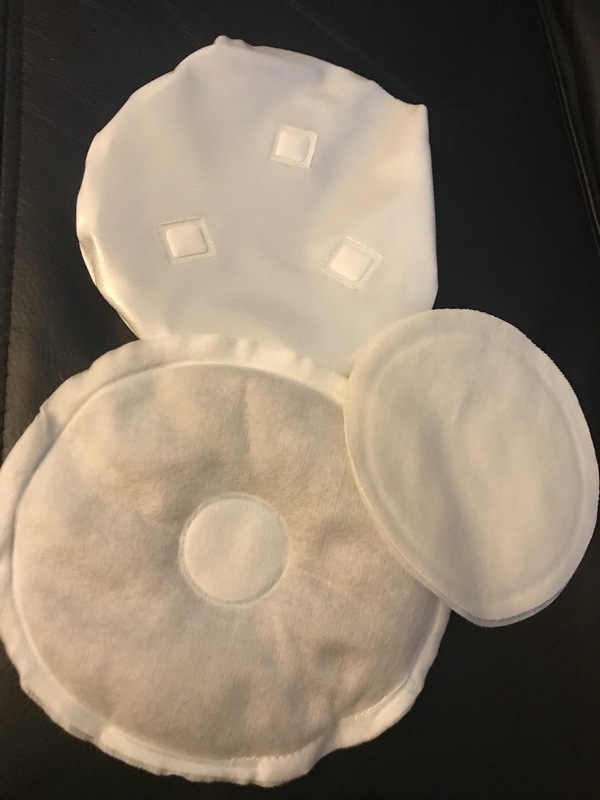 While the majority of them were products to be consumed, one that would be worn externally caught my eye on mommy chat boards. 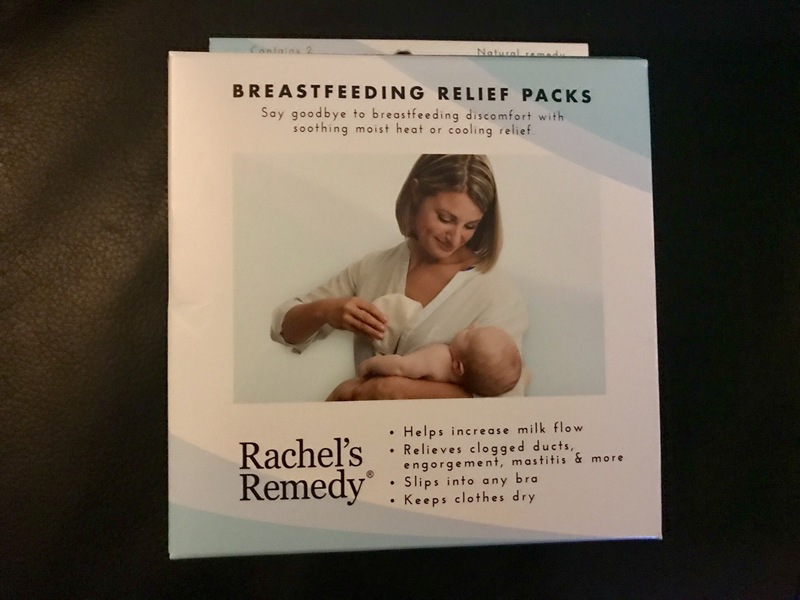 Rachel’s Remedy Breastfeeding Packs. 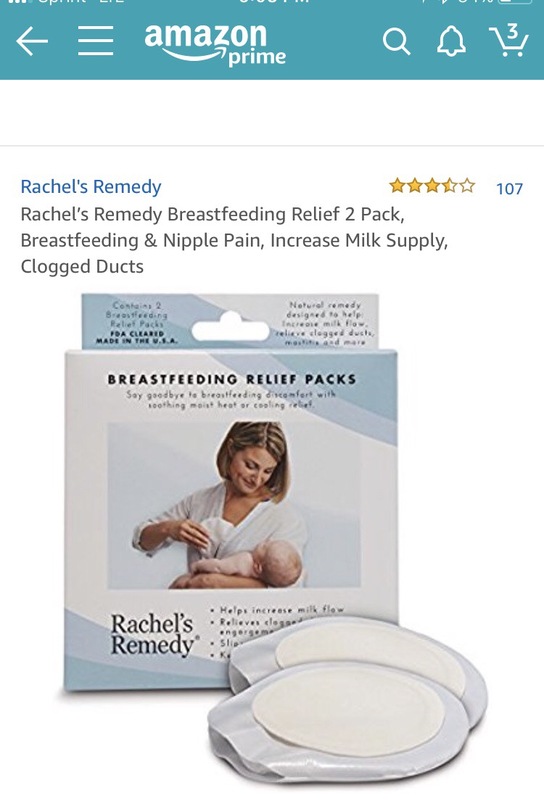 The packs seemed like a great natural way to treat many conditions women experience in breastfeeding including pain, clogged ducts and low milk supply. We purchased these in a store so I would not have to wait to try them. Many of the things said on the Amazon reviews helped increase my confidence in the product. In addition to success stories, a woman mentioned contacting Rachel directly and getting questions and concerns answered. Inside the packaging the product looks a little like over easy eggs. 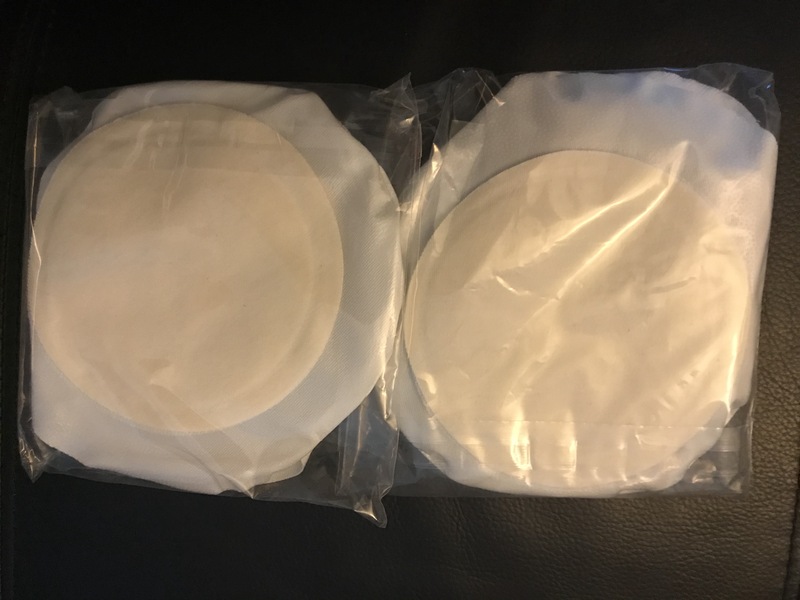 Each pack is made up of an putter pouch, an inner flaxseed pack which is placed in the microwave and an outer pad which is moistened and fastened against skin with the other side facing the bra. The instructions state to heat the microwaveable pack up for twenty seconds and then for five second intervals as needed. I really wanted to love these packs, I juts couldn’t get them to get and stay hot for longer than a few seconds following the directions. I’m not sure if the positive reviewers who said they were getting heat for about twenty minutes heating them incrementally for many minutes or if I was too timid to do heat mine for long enough increments. I tried them four times, adding more heat intervals, yet never getting them to stay hot for long. I did not notice any difference in my milk production, my main reason for buying, though perhaps that would take many times using to have a positive effect. Additionally, Rachel never responded to my email or call. I still have this product as something I may try again, however, for now it’s been weeks since I used it.